Whenever you get too bored of the same meals with a too persistent woman touch, it is time to take charge and come up with a more manly recipe but if you lack imagination and initiative, like most men do, then I have the perfect dish, my go to meal for when things start to get stale in the kitchen department, recipe that surprisingly, will fully satisfy the both you. I mean I like veggies as much as the next guy, anything pasta related, on the other hand, is a dish best served… to neighbors. I am not picky though, give me pork, bacon, beef, bacon and some ribs of any configuration and I am set, pretty much like any other dude though it becomes an issues if it happens too often. You know, that is not healthy, that is too fatty kind of stuff that makes you want to start learning to cook. Well, no need for that. This meal which is not a recipe per se, will actually create so much excitement, you will have to fight your wife for leftovers. Enjoy! 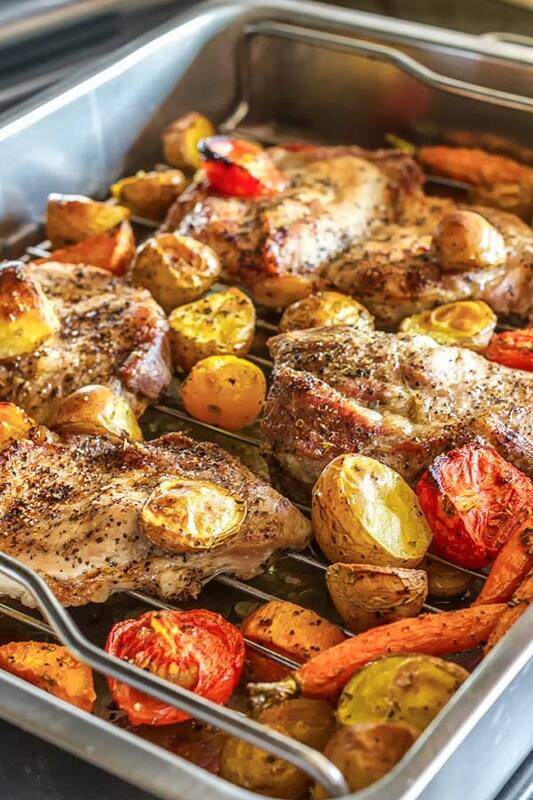 Add the meat surrounded by a ton of veggies to a big roasting pan and pour around 4 tablespoons of olive oil over. Generously sprinkle herbs and spices onto pretty much everything. Cumin actually works only on potatoes but don't let that scare you off. 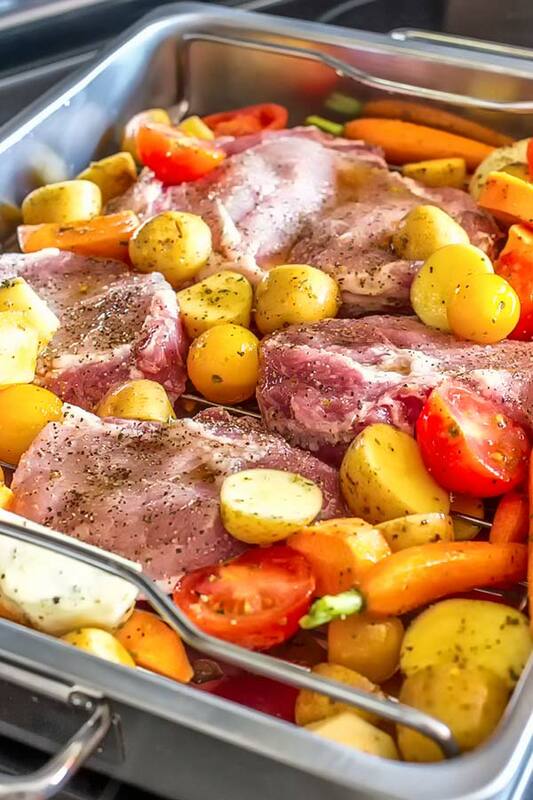 Cook for about an hour or until meat looks done at a temperature between 375° F / 190° C to 400° F / 205° C.